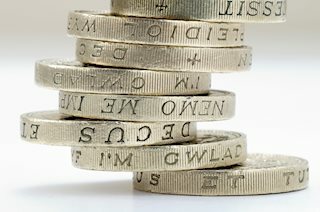 The British Pound is benefiting from the upbeat sentiment surrounding the risk-associated space, with GBP/USD testing daily highs near 1.2700 the figure. The pair is advancing for the third session in a row so far today, up nearly 3 cents since Tuesday’s lows near the 1.2400 handle. The up move in spot has been largely USD-driven, as ‘Trumponomics’ continue to weigh heavily on the buck. In addition, the FOMC meeting failed to ignite some lasting recovery in the US Dollar, prompting Cable to revert yesterday’s leg lower to the mid-1.2500s and rebound to the current upper-1.2600s. GBP will take centre stage during the European afternoon in light of the BoE MPC meeting, the Quarterly Inflation Report and the subsequent speech by Governor M.Carney. Market consensus expects the ‘Old Lady’ to keep the benchmark rate unchanged although it could modify its current QE programme. Regarding inflation, expectations point to a revision higher from the November report. As of writing the pair is gaining 0.10% at 1.2673 facing the next hurdle at 1.2680 (high Feb.2) followed by 1.2729 (high Dec.13 2015) and finally 1.2776 (high Dec.6 2015). On the other hand, a breakdown of 1.2542 (low Feb.1) would open the door to 1.2473 (100-day sma) and finally 1.2410 (low Jan.31).